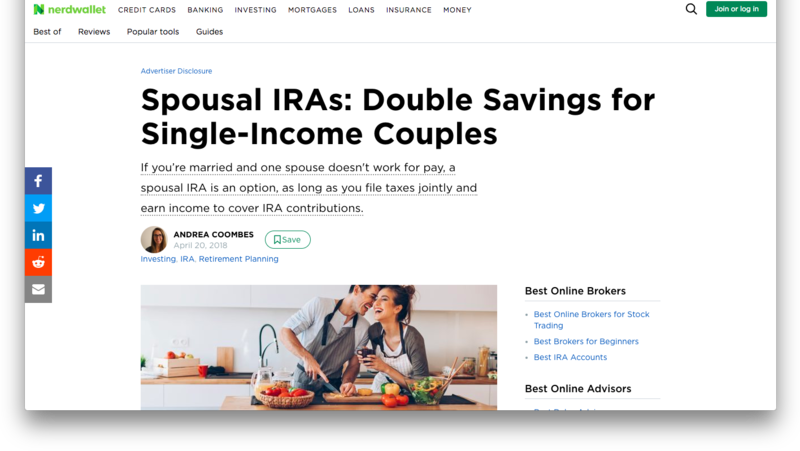 Spouses who don’t work for pay can contribute to an IRA if they file taxes jointly with a spouse who does. That means a married couple can enjoy double the tax-deferred savings. Elijah Kovar shares with Nerd Wallet the benefits and guidelines of a Spousal IRA.